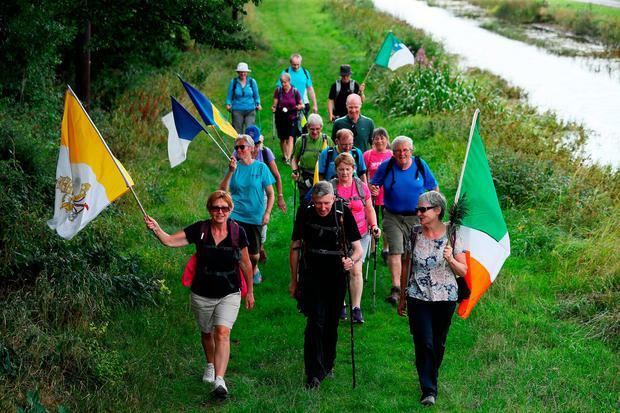 More than 20 pilgrims are taking part in a 220km hike to make it to the papal Mass in Dublin this weekend. The group is half way through the 11-day hike, which started off in Nenagh, Co Tipperary. The walkers, aged between 18 and 73, from Aonach ar Siúl, are covering 25km each day, passing through towns and villages while stopping off at monastic sites. Group leader Donie Mackey, from Nenagh, said: “This is a way to see our heritage and to meet the local people and to enjoy ourselves along the way.